Kitchen Joinery Design & Colour Design At robyndesign, I offer over 20 years experience in the design industry. Kitchens are my leading forte and passion, however I originally started in Colour Design for residential & commercial projects, before expanding to Kitchen Designing. I am experienced in dealing with joiners, builders and project managers and enjoy encompassing design & communication throughout the project to complete a happy result for my clients. I do have preferred joiners for your guidance, but will also work with the joiner of your choice. Whether you’re looking to renovate your bathroom, build a walk in shower, ensuite, or perhaps a custom designed luxury wetroom bathroom to add a touch of luxury and elegance to your home, Project Wetroom will deliver a finished bathroom that you will be proud of. Luxury Wetrooms, Walk in Showers and wheelchair accessible bathrooms are what we are all about. We have extensive knowledge in this industry and as an experienced Christhchurch bathroom renovator, we can let you know what will and wont work. 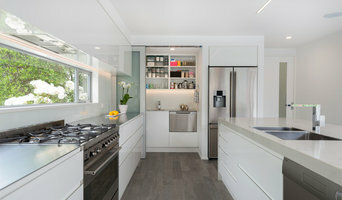 Kitchen Express, based in Christchurch and Ashburton, is Canterbury’s leading kitchen renovation specialist having successfully renovated over 12,000 kitchens (and counting). We take renovating or creating your entirely new kitchen personally. Your project managers Greg, Rick, Mark, Lynda & Russell are all directors with a vested interest in doing the very best job for you. Our aims are simple; to deliver a new kitchen that functions well, that you’ll enjoy using and that will give you the best value for money. For a free measure and quote in your home or from your new house plans call us today! Aurora Australis Interiors recognizes that the choice of kitchen manufacturer is a big one, as it is often the most important room in the home. That is why we work with New Zealand manufacturers, who have over 10 years experience providing personalised design, and outstanding quality of construction, on kitchen projects throughout New Zealand. 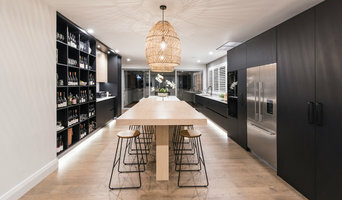 Aurora Australis Interiors was founded in Auckland in 2002, with a vision of delivering outstanding value, along with outstanding design choices in cabinetry. Kitchen construction has seen huge developments over the last 10 years. To keep up with this, and to provide the perfect balance of precision, quality and value, Aurora Australis Interiors has invested in the latest computerised equipment, machinery and finishing systems. Despite all these advances, the true cabinetmaker’s craft has not been forgotten, giving you have the creative freedom to create the kitchen of your dreams. Award winning Interior Design team, specialising in Kitchens, Bathrooms, Residential Joinery and Spatial Design. Woodshack Kitchens is a family owned and operated business with over 25 years’ experience in the kitchen and joinery industry. Our goal is to provide you with excellent service, quality product and a stress free experience. Originally situated in Darfield, Woodshack Kitchens are now centrally located in Izone Business Park in Rolleston. This has been a very positive move, with a fantastic workshop space, excellent office and showroom and plenty of car parking. Planning your new kitchen can be a harrowing experience. Here at Woodshack Kitchens we make the process painless. Either bring us your design or just bring us your ideas, we will design your dream kitchen and make it come to life with our 3D drawing program that allows you to see your kitchen from all angles to make sure you are completely happy with every aspect, before construction begins. We have continued to invest in new software and machinery, striving for perfection and developing methods of production that are at the fore front of our industry. By continually improving our manufacturing processes, we are able to manufacture the highest quality products at very competitive prices. We also offer a colour consultancy service, whether you prefer a neutral, harmonious scheme or a bold fashion statement, we are here to help make your dreams a reality. I know your experience with Woodshack Kitchens will be an enjoyable one. We pride ourselves on excellence in customer service and in creating a kitchen you will be proud of and enjoy, for a lifetime. 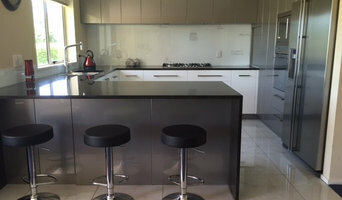 Based in Christchurch, Canterbury, Modern Age Kitchens and Joinery specialise in bringing first rate joinery to projects such as new kitchens, wardrobes, laundries and bespoke joinery, as well as commercial ventures such as shop fit outs. Design and supply of RotPunkt kitchens direct from Germany. High end kitchens at affordable prices. 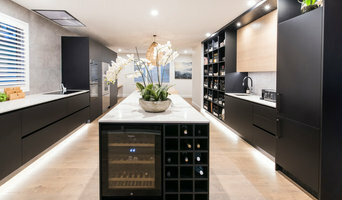 Our showroom showcases alternative demo kitchens that range from economic design to premium project. We cooperate with Häfele, Heritage, Carters, Laminex, Universal, alongside other in-demand brands to provide our customers superior products according to their requirement. All the offered products manufacture in our own factory. Professional install recommended but it’s completely DIY as well. Come to our showroom to choose your favorite products and meet our friendly and experienced team. Let us bring your dream kitchen into reality. 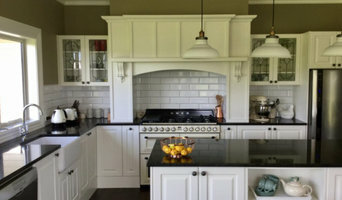 There are many types of kitchen professionals in Wigram, Canterbury – from cabinet makers, to carpenters and interior designers – and many trade professionals offer a full suite of expertise. Depending on the size of your kitchen renovation, and the kitchen designer, they may also hire contractors on your behalf and manage the project from beginning to end. Here are some related professionals and vendors to complement the work of kitchen & bathroom designers: Kitchen & Bathroom Fixtures, Appliances, Tile, Stone & Benchtops, Joinery and Cabinet Makers, Carpenters. Find a Wigram, Canterbury kitchen designer on Houzz. Browse the Professional section on Houzz to find kitchen designers in Wigram, Canterbury. Then, scroll through photos of their latest kitchen renovations and see how their work compares to the scope of your project. You can read reviews to see how other homeowners rate their work, and message them directly to to ask any specific questions.